Any exercise in online marketing ultimately comes back to ROI (Return on Investment). Are you getting the most money back in exchange for the amount you spend on your marketing efforts? Retailers are expected to spend over $23 billion dollars on digital marketing by 2020, and you can bet they expect to make significantly more than that back. With that in mind, e-commerce conversion rate is the single best way to approach revenue gains. Global rates have hovered between 2 and 3% over the past year. To put it clearly, this means that for every 100 shoppers that have arrived on your site as a result of your hard-won marketing spend, it's more than likely that 98 of them will leave without buying. But if you can convert even 1 extra shopper for every 100... you're looking at massive revenue uplift. The more traffic your online store drives, the more this seemingly minor increase in conversion rate drives up your bottom line. Visit granify.com/our-resources for more conversion resources. 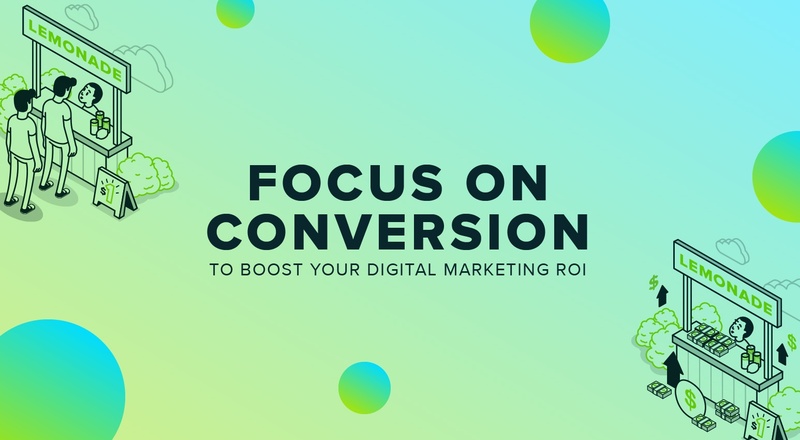 The reason conversion-focused improvements are so crucial for improving your marketing ROI is that you've already paid to attract these shoppers to your site. Some shoppers are window shoppers and were never going to buy, while some came to your site with every intent to make a purchase and nothing is going to stop them from doing so. That said, there will always be 1 or 2 shoppers in every group that intend to make a purchase, but have something holding them back. Maybe it's a concern about shipping costs, or they aren't comfortable ordering a product without knowing the return policy and don't want to research your site's. They could just want to know they're getting the best deal on their product of choice. There are a litany of solutions out there to help retailers with these conversion obstacles, from A/B testing to conversion consultants to dedicating an in-house team to the task. These can all have their merits, and are all valuable, but can be difficult to scale. Increasingly, we're seeing a rise in scalable e-commerce solutions using artificial intelligence, particularly machine learning. Some common applications are recommendation and personalization engines. At Granify, we use machine learning to analyze the digital body language of shoppers to identify and help overcome their concerns. If you've seen any exciting or interesting ways to increase conversion, we'd love to talk. Drop a note in the comments or reach out at hello@granify.com. If you're interested in learning more about how Granify might work on your online store, you can request a free consultation below.